There can’t be any doubt: this sign has been around for a long time. But strangely, I have not noticed it until a few weeks ago. The subdued design just does not stand a chance when you are concentrating on the busy road (Donovan Street). Maybe an upgrade is in order? 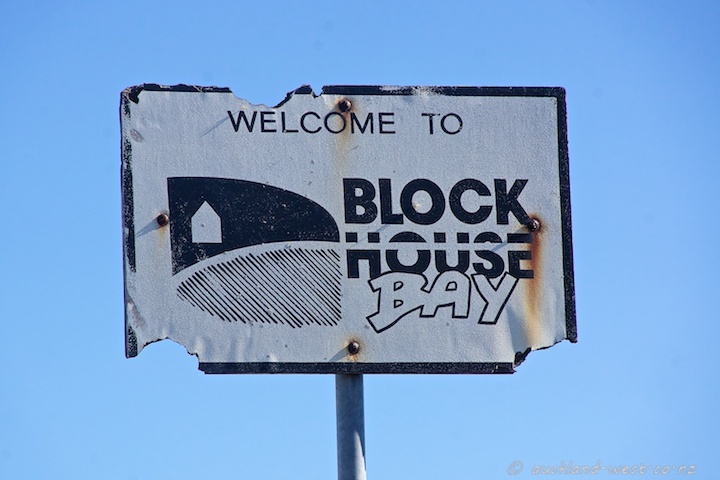 To be fair, Blockhouse Bay lays on a lavish welcome when you reach the roundabout and Blockhouse Bay Road, with nautically themed decorations aplenty.